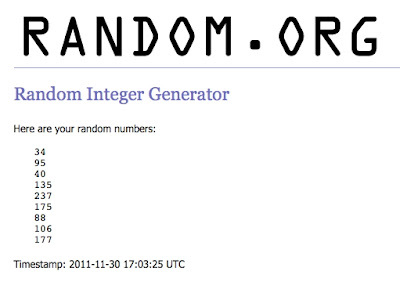 Home » blocks » And the November Winners are . 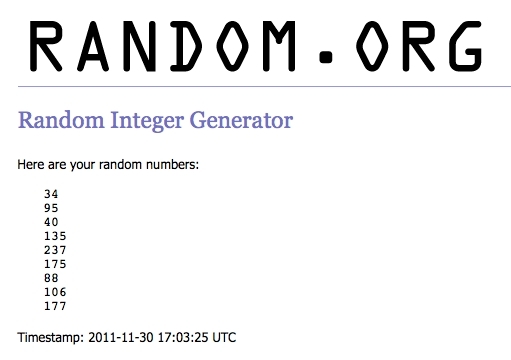 . .
And the November Winners are . . .
Congratulations to you all. Belinda, Debra, Benta, Jo, Michelle, Kristin and Cyndi will each end up with a set of 37 blocks. Ellie and Maree will receive a set of 36. I look forward to seeing the great scrappy quilts you all make from these blocks. I’ll first be in touch with all the winners to find out how many of their own blocks they’d like to keep and to confirm their mailing addresses, then I’ll send email to everyone who made blocks this month with the mailing info. I nearly missed seeing my name at the bottom. I am delighted to have won again – these blocks will make a great quilt. Congrats ladies!!! Guess I'll be making my own scrappy trips in the coming year 🙂 Can't wait to see your quilts!